The WASFR News is the official Journal of the Western Australia Self-Funded Retirees Inc. Published quarterly, it contains a range of informative articles (mostly written by members), President’s Report for the coming months, Guest Speakers, Editorial, Budget Review, Book Review, classified advertisements, notice of Society events and details of past activities within the association. Together with our monthly general meetings, it provides the main form of communicating information to association members. 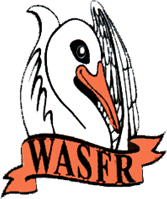 Links to a selection of articles that have appeared in WASFR News and have a long-standing interest have been included below for your enjoyment. Happy Reading.